The idea for Bag & Wander was always to save time and make life easier. Initially, our vision was to simplify the travel experience by providing you seasonal toiletry essentials. After returning home from a trip earlier this year, I was inspired to bring this experience of comfort & convenience which wasn’t present in the curated commerce industry at the time. If you’ve been with us since the start, you know that we’ve evolved into so much more than travel but more concentrated in the home & lifestyle area. We’re inspired to rebrand with a fresh approach on our e-commerce presence. Thus, our subscription services will shut down effective this month. Thank you so much for your support over the past few months — we seriously thought we’d never get anywhere with this idea and we’re incredibly grateful to everyone who’s helped us along the way, from subscription box reviewers to all of our subscribers. If you so choose, please participate in our Inventory Closeout on the website where we’re offering 40% off + free shipping (code:BAG40OFF). I wish you all the best and Happy Holidays! I’m currently subscribed. Will I still be getting a December box? How can I cancel and get refunded? There will not be a December box. We’re here to assist with canceling and issuing a refund. Please email[email protected] with your Name, Email and Subscription# and we will promptly assist you. I still have shipments pending on my Prepaid Plan. What happens to them? We’re here to assist with pro-rating a refund. Please email [email protected] with your Name, Email and Subscription# and we will promptly assist you. I made a purchase recently and haven’t received it. Is it still on its way? All shop orders will still ship per usual, and can be tracked using the tracking number included in your shipping confirmation email. Note that all orders placed are final sale, and no refunds will be offered. I still have questions. Can I email you? We no longer offer support via social media. We will be responding to email support inquiries through January 2016. My sub had just renewed on 11/30 for 3 months– I emailed them about a refund and they took care of it pretty quickly. I did like getting this box– it did seem like they had “lost their direction,” so to speak, but I enjoyed what they sent. 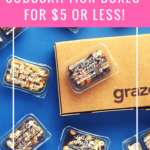 Like Randi, I also NEED to cut back but this sub was not one that I wanted to give up, and CrateJoy is NOT helping with the crazy amount of new boxes that they are promoting! I’m confused on where I’m supposed to go use the coupon code at? I followed the link but it brought me to buying the subscription service but they are canceling so I don’t know why I’d do that? WOW! It is very shady to charge people two weeks ago and then not automatically refund everyone who is due a refund. Their customers should not have to email for the money due them. I would never purchase anything from them after hearing this. This makes me sad. I love getting this box. How come it seems my favorite boxes never last long. Still waiting for Burke Décor to do the curated boxes on their website. Unfortunately many companies go with optimism verses realistic expectations on profits. I wish this sub or a similar sub would come back quarterly. Fall, Winter, Spring and Summer. $50 a quarter. Focus around travel during those seasons. Fall fall leaf soap, fall colored scarf, spring-bug spray-picknicks, Summer-Beach Travel, beach blanket, beach bag, seashells – Winter earmuffs, fuzzy socks, a blanket. – Passport Holders, luggage tags, travel sized empty bottles, mints – The last box seemed interesting but off to me. Wow, I should pay more attention when I am shopping at night. I didn’t even catch that until after I hit submit.. It seemed wrong. I emailed them but.. not sure what to expect. Looks like they fixed the code issue. I went ahead and sent an email, although it’s a bit concerning that they wouldn’t issue a refund for the December box (which they just charged for two weeks ago) to everyone regardless of whether they sent an email. Hopefully they make good on it. I too enjoyed the box. I figured something was going on bc there were no updates or spoilers about the Dec box and usually they’d at least release a theme. And then the 40% off sale. I am sad to see this one go bc I’ve gotten a few things that I love and use all the time. But I’ve been needing to cancel some boxes so I guess this helps… but this wasn’t one I had on my maybe cancel list. I did wonder how they’d keep going with a travel theme, even though there were some items lately that didn’t seem “travel” to me, I enjoyed everything anyways. I was somewhat confused by the email though… will they be starting a new box with different theme / name? It seemed that they would continue, just by the 40% off sale, lack of social media updates. The values did not seem to be there. The few times I was thinking of signing up, I saved myself $’s by getting the 1 or 2 items I liked in the box off amazon. Unfortunately no matter how good curation might be, value has to be there to, and thats one thing I did notice. "I got the same as you and loved my box! I gifted the eyeshadow palette to a young girl who will love it and use ..."